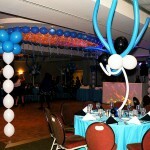 One more way to theme a party with a balloon centerpiece with your heroin image. 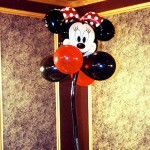 Minnie Mouse forever! 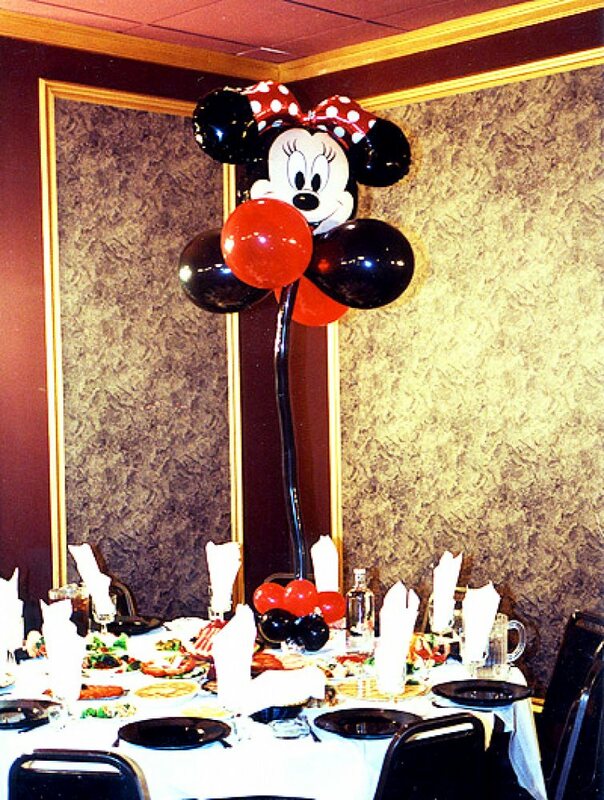 One extra benefit that comes with this design is that now, with the helium shortage, this balloon centerpiece can be done on a heavy base and a stick and balloons filled with air.